Welcome to the 6th edition of the Language Creation Tribune! I hope this summer (or winter, or whatever season you may have where you live) has been good for you! It’s certainly been busy for me, on many fronts. What I want to talk to you about this time is a topic that has popped up regularly lately, on various social media and within the LCS. It’s clearly something that lives within the conlanging community, so I felt I needed to let people know where I stand. I’ve already done so in some places, but with this I hope to reach further into the community. And to be clear, what follows are my personal thoughts about this topic, and not necessarily the official position of the LCS. In fact, the LCS does not have an official position on this issue yet. The issue I’m talking about is the question of a fair remuneration for professional conlangers. I’ve seen this question pop up already quite a few times these last few months, whether because of one specific job posted on our Jobs Board, or in general by interested parties. A general sentiment seems to be that conlanging jobs, at this moment, do not pay enough, at least compared to the difficulty and time needed to do the job well. And, indeed, I agree that however much fun one has with conlanging, once you do it for an employer, rather than for your own personal enjoyment, you need to get paid a fair wage for it. Because dealing with an employer means dealing with different opinions about what needs to be done (rather than focusing on what you want to do), and really, even if it fits perfectly with your tastes, doing a conlanging job for someone else means spending your own time on someone else’s project, effectively, and time is money. So it’s not weird to expect a fair compensation for it. The minima we set up on the Jobs Board (which you can check here) work out to only a few dollars per hour, not at all how much conlanging is really worth, given the difficulty of the trade, and definitely not enough to make a living out of it. However, the solution is not to simply raise those minima, as some have proposed. Indeed, doing so would actually be counterproductive, and would probably destroy the awareness we have slowly been building among potential employers. The problem is two-fold. First, we have a very skewed market here: very little demand (we receive job requests once every other month on average) for a very large audience (many conlangers willing to do work for others). Such a situation naturally drives prices down, as an employer will likely always find someone willing to do the job, even for a pittance. Of course, the result will probably not be so great, but here’s the second problem: non-conlangers have absolutely no idea what a good quality conlang is. Worse yet, there is no evidence the majority of the general public actually cares! I know Game of Thrones fans who don’t care that Dothraki and High Valyrian are well-crafted constructed languages because, for them, Game of Thrones is only about the story and its characters—not about the status of the Dothraki language. Of course, there are non-conlangers who are actually interested in the languages of Game of Thrones and other shows, to the point of wanting to learn to speak them. And that group is very vocal, at least on social media. But that group is still only a minority among the larger fantasy and science-fiction fan community, itself only a fraction of the general public. In absolute terms, conlanging is still very much niche. No wonder it’s often considered only as an afterthought by potential employers. Also, don’t forget that conlanging has only very recently been “discovered” by non-conlangers. It’s 2015. 20 years ago, the idea that one could be actually paid for conlanging was not even a dream—it was a laughable fantasy! Indeed, at that time, people in the conlang community didn’t even discuss the possibility. Instead, they wondered whether it would actually be worth the hassle to even admit to their friends and family what their hobby was. Conlanging was still seen as frivolous and ridiculous (if not downright dangerous). The only book about modern conlanging available at that time, Marina Yaguello’s Lunatic Lovers of Language, was, as its title indicates, not friendly at all towards conlangers, and people referred to admitting to doing it as “coming out”, an act that often had negative repercussions (one of our best modern conlangers kept her real identity and her conlanging persona meticulously separated, as she was a university professor and had enough evidence that showed that admitting her hobby at her workplace could cost her her job!). If you consider the situation 20 years ago, you may realise the incredible amount of progress we have made since then. This said, it’s not as if we should just relax and let things take their course naturally. Conlanging will not be recognised as it should be, an actual art form worth paying a fair price for, if we do nothing. At the LCS, we are looking into the issue, and trying to decide what we can do. If you check the glossary of the Jobs Board again and remember how it was just a month ago, you may notice that some descriptions have actually changed: while we didn’t change the minima, we did clarify what these minima can get you, so as to prevent one to request a full conlang with teaching materials, two chapters of translated texts and a 3000-word vocabulary for $300. Now, it’s clear that the minimum compensation will only get you a minimum (if grammatically complete) conlang. We’re also trying to teach potential employers exactly how hard and time-consuming conlanging is. And we’ll try to keep track of conlanging jobs better, once they’ve been granted to someone, so as to check how much they were actually paid. Do not apply for jobs that pay ridiculously low wages. Even if they come from our Jobs Board. Make it known (on social media for instance) when you see a conlanging job offer that is obviously underpaid. Get others to pledge not to apply to such jobs. The payments only stay low because people are willing to work for them. If employers see, on one hand, an audience clamouring for realistic conlangs, and, on the other hand, the people able to create such conlangs refusing to accept ridiculously low wages, they will revise their offers. Be careful though: the situation of conlanging is fragile at the moment and pushing too hard could cause a backlash that would throw it back to obscurity quickly. We are currently riding on the popularity of Game of Thrones, but that series won’t be around forever. We are slowly creating momentum, but one wrong push and we could tumble and crash. Also, some employers just don’t have that much money. I mentioned (graphic) novel writers for instance. Those writers usually request conlanging services quite early in their creation process, usually at a time when they have not published anything yet, and they usually have little money to spare. But they do get it, and they should be supported in their effort to get good conlangs in their works, even if they cannot pay much upfront. So be discerning in your efforts. Psst. There’s a really cool conlang out there called Celinese that one learns about in bits and pieces at a time. Why? Because information about it is spread across numerous web pages, Facebook pages, Tumblr pages, a PDF-formatted dictionary, a database-driven look-up dictionary, a published children’s book, and probably more places both virtual and hard-copy than my poor sleuthing skills can find. One learns about the grammar from two different wiki pages (each of which explains certain details the other does not), while learning to pronounce the Romanized orthography is found on a dedicated “Learn Celinese” Weebly site. Celinese is an a priori language; however, it is heavily influenced by Welsh and other Celtic languages, particularly in regard to morpho-phonology and certain morpho-syntactical traits such as initial consonant mutation and inflected prepositions. While word order is superficially quite free, the ordering of arguments with their verb, as well as the ordering of clauses within a complex sentence, take on quite specific shades of meaning and semantic nuance. Great attention to detail has been paid to the diachronic aspects of Celinese as well. The con-history associated with the language is quite convoluted, in that the language, somewhat like modern Italian, is a standardized form of what is essentially a grand dialect chain scattered throughout one of the major regions of the world of Lorech. It is the language of the Commonwealth of Elitho, amongst other nations of that world, and one of Lorech’s linguæ francæ. Mair syr gyrthoiot né anoir corún. Twys dyðín elıcír ðo na sàsaneg ceoní polús? If I’ve managed to pique your curiosity, start with this biographical page for Andy Ayres, as it contains a collection of links to most things Celinese (as well as a recording of Andy reading the Babel Text in the language). I must say, I never fail to be amazed by those conlangers who pour such effort into these labors of love for so little recognition or feedback. Nice job, Andy! Araðí ðéðo foís (“I appreciate what you’ve done”). 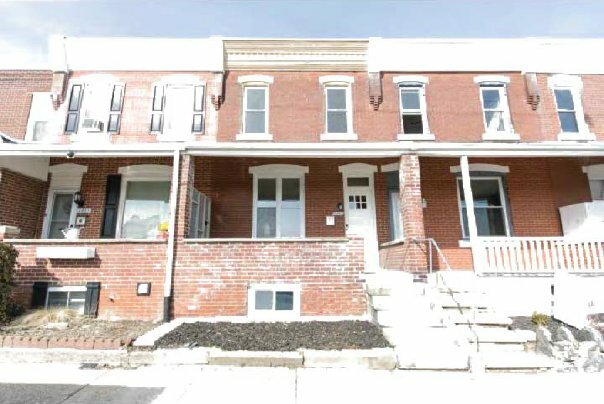 BenJamin Johnson (Jamin) and his husband, Terry, just moved to Philadelphia and celebrated their first anniversary by buying a house in the East Falls neighborhood. It is the first house for both of them, and, needless to say, they are very excited about it. Congratulations! After a bit of a hiatus from composing, John Q has composed four new songs and reworked some older songs to put together an album. He chose to write the songs in Ithkuil to explore the possibilities of using the language for poetry. He has titled the project Kaduatán (‘wayfarers’ in Ithkuil). You can check out a video for the recording of the first of his songs on YouTube, which features artwork from his brother Paul and David J. Peterson on vocals. This song contains the lyrics used as the LCC6 Relay Text. If you’re interested in seeing the lyrics with an intralinear analysis, you can check out the Texts page of the Ithkuil website. 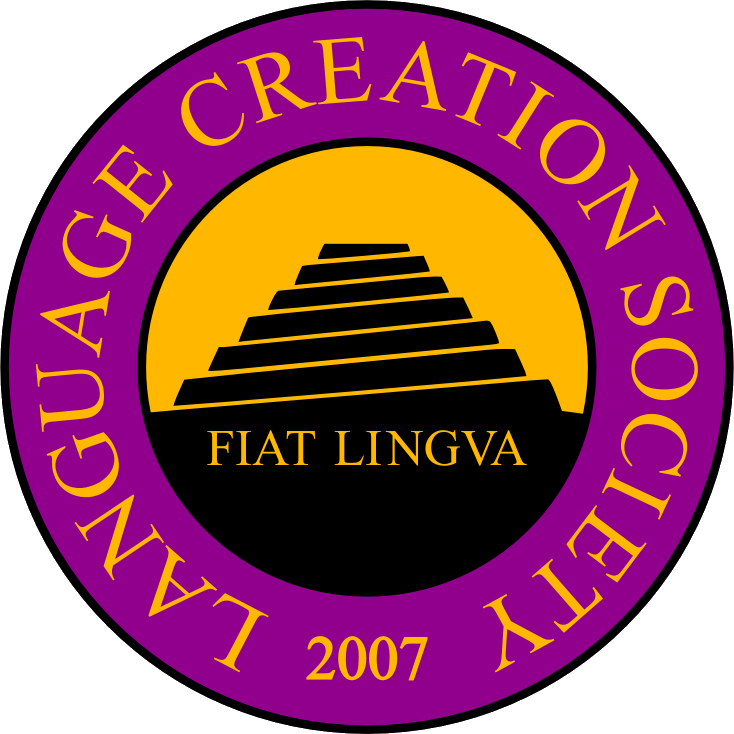 Fiat Lingua, an online archive of conlang articles, is looking for submissions! Fiat Lingua poses new articles on the first of every month and accepts submissions in these categories: analysis, art, conlang descriptions, essays, experiments, interviews, literature, presentations/demonstrations, and reviews. To find out more information, please head over to the website. Sasquan, the latest World Con, was held in Spokane, Washington, in late August. We in the conlang community are fortunate in that a number of members have provided online tools we can all use for free. One of these is the Conlang Blog Aggregator. Like all aggregators it brings together material from a range of sources, but more than that it brings together writers and readers. If, like me, you enjoy reading about conlangs as much as writing about them, then you’ll have days when you’re looking for something new to read about and other days when you look at the traffic statistics for your website and wishing they were a bit higher. These occasions are when the Aggregator helps. As a reader, it brings you new material from a wide range of conlang blogs, some written by well-known conlangers, others by less-known writers waiting for you to discover. There’s grammar updates, words of the day and scripts. Conlang community blogs are also featured such as the LCS Jobs Board, Podcast and Newsletter. There’s even humour from the inimitable Bad Conlanging Ideas. So, if you’re stuck for something to read, check out the Aggregator. Is your conlang blog there, though? If not, it’s worth joining because it’s a good way to make your work more visible to potential readers. If you’d like to add your blog to the Aggregator, just send an e-mail to lcs “at” conlang “dot” org with a link to your feed, and a description of your blog. Posts made to the Aggregator should be related to conlanging in some way, so if you have a blog with conlang-related and non-conlang related posts, please send the feed to a tag or category featuring only conlang-related posts. The more blogs on the Aggregator, the better for both writers and readers! Our LCS Library has some new acqusitions. In addition, several other new books have arrived, including Newmeyer’s Possible and Probable Languages and Peterson’s Living Language: Dothraki.